If you have done any home improvement projects in the past several years, you know the costs are very high. Projects which you might consider small (power washing, tree removals or pumping you septic system) are not cheep. You can find yourself spending hundreds and often thousands of dollars. Larger projects like roof replacement are substantially more expensive and most of us don’t want to replace the roof before it really needs to be done. That said, there are several questions that need to be answered before a decision can be made, when a roof should be replaced, when is it necessary to remove the existing roofing and what type of shingles should be installed. These are important factors that that will have a dramatic affect on the cost of roof replacement. The first thing you need to decide is if it is time to install a new roof. 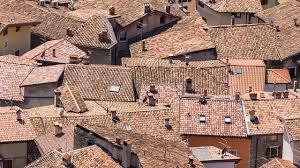 Most asphalt roofs have a life expectancy of 20 years. Newer shingles are touted to last as long as 40 years but history has shown that it has not been the case. While technology has improved, roofing materials and the shingles manufactured today may last longer than 20 years, but 20 years is a good rule of thumb. If there are signs of aging like leaks, loose granular particles, lifting or curling shingles and you roof is around 20 years old, it’s most likely getting near the time to replace it. These are all signs that it is time to call a professional roofing contractor to perform an evaluation. A major issue to consider when contemplating a roof replacement project is if the existing roofing needs to be replaced or resurfaced. In years past, the rule of thumb was no more than three layers. Today building codes, allow no more than two layers of residential roofing. This means that you must remove the existing roof prior to the installation of a new roof if your home has two or more layers. There is another consideration; if there is only one layer and the existing shingles would adversely affect the performance of the second layer, it should be removed. The two most common conditions which occur to cause this to happen are when the existing roofing is so deteriorated and curled that the new layer would not have a flat surface to be installed on. 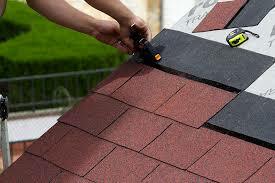 The second would be if your existing roof shingles are very thick and therefore would not serve as a flat surface. The reason for this is that asphalt shingles will overtime, confirm to the surface that they are installed over. So if your roof is not flat the new roof will bend to that shape. Which shingle should you choose? Today there are many, many shingles to choose from. Your choices range from the standard three-tab shingles to architectural shingles that give a dimensional look to the specialty shingle and give your home a custom look. This decision can add from several hundred to several thousand dollars to the cost of the project. The only shingle you might consider staying away from is the 20-year three-tab shingle. You should understand that whether you have a 25-year shingle or the top of the line “lifetime” shingles installed, they should all perform (keep your home dry) the same. What you are paying for with the higher end shingles is a different look. If you have not considered the higher end shingle, I would offer this advice; the decision is not whether to do the job or not, it’s whether to spend the additional money for the more expensive shingle. On most homes the roof is a very visible part of your home and you need to assess whether the increased cost and increased aesthetic appeal of your home is worth it. You need to decide if the added cost is worth the more attractive look. Ultimately your roofing project experience hinges on hiring the right contractor. While there are no guarantees that your experience will be a positive one, there are steps you can take to dramatically increase the odds that you have hired a quality contractor. Confirm that the contractor is licensed in your county. Does the contractor have BOTH liability and workers compensations insurance? The company should have a minimum of $2,000,000.00 of liability insurance and workers compensation on ALL workers (including owners). Have the insurance company send you an “Accord Form.” This is a written verification by the insurance company. It costs the contractor nothing and should be sent to you directly form the insurance company. Does the contractor operate the business from an office with staff there to answer phones five days a week, 9 to 5? This shows an established business, which you can reach during business hours, should you have a question or problem (a cell phone is not an office). Did the contractor go on the roof to perform and inspection (can an auto mechanic evaluate a car’s problem with out starting the car and opening the hood)? Did the contractor gain access to you attic to evaluate ventilation? Did the contractor give a written estimate listing all materials, a detailed scope of work, a written guarantee, and a payment schedule? Payments: 10% deposit (never any more), balance upon completion (100% completion). If some part of the project is delayed (installation of gutters) hold two times the amount until it’s complete. This should not be negotiated. Did they show up on time for the estimate? If you follow these nine steps, you will dramatically increase the odds of hiring a quality contractor and experiencing a problem-free job. Think you are having pressure issues at your faucet? Are You Thinking About Doing Your OWN Electrical Work? Not a Good Idea.